April 12 (UPI) — The cost to replace the U.S. president’s aging helicopter fleet is some $ 234 million less than budgeted in 2014, the Government Accountability Office said. As of last May, the total acquisition costs for the Sikorsky VH-92A presidential helicopter program were estimated at $ 4.95 billion, which is a 4.5 percent decline from the $ 5.18 billion estimated in April 2014, GAO said in a report released Thursday. That equates to a cost of about $ 215 million for each of the 23 helicopters. The VH-92 is configured from Sikorsky’s S-92. Twelve nations have selected the S-92 helicopter for their critical heads of state, according to Lockheed Martin, which owns Sikorsky. “The president relies on a fleet of helicopters for transportation that has been in service for decades,” the GAO said about the aircraft, which is known as Marine 1 when the president is aboard. The Navy plans to replace the current Marine Corps fleet of 19 helicopters — the VH-3D, which entered service in 1978, and VH-60N aircraft, which arrived in 1987. Dwight D. Eisenhower was the first president to travel on a helicopter, the Bell UH-13J Sioux, in 1957. Initial delivery is scheduled to begin in fiscal year 2020, with production ending in fiscal year 2023. Among the estimated savings, approximately $ 88 million can be attributed to efficiencies during development and $ 103 million to revised spare parts cost and equipment production list. Also, $ 36 million comes from lower than expected inflation rates, the GAO said. But the development has been pushed back by Sikorsky. “The VH-92A program continues to face development challenges that could affect Sikorsky’s ability to deliver fully capable aircraft prior to the start of initial operational test and evaluation,” according to the GAO report. 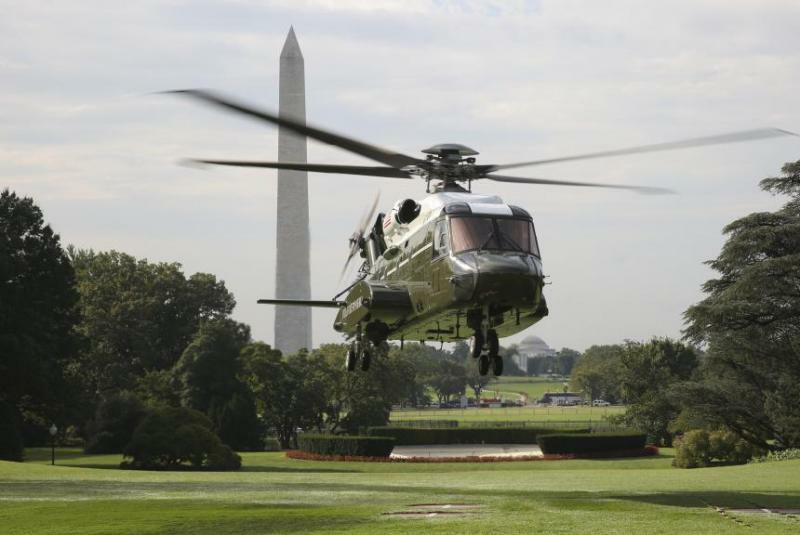 In 2018, the GAO found the helicopter hadn’t met a capability requirement for landing without damaging the landing zone, including the White House South Lawn. Sikorsky plans to have a solution for this performance requirement by November 2020. In addition, the VH-92A program has experienced problems connecting the aircraft’s communication system to secure networks because of changes in network security requirements. The Navy anticipates a fix by January 2020. “These changes are expected to be incorporated into the four production representative helicopters being built under the development contract in time for the program’s initial operational test and evaluation,” the GAO said. Sikorsky VH-92A program director Spencer Elani noted the first two helicopters were delivered on time to the government. They are now in the government test program. “Sikorsky is confident the Defense Acquisition Board will soon issue a positive Milestone C decision for the VH-92A program to enter into production,” Sikorsky VH-92A program director told Vertical publication in a statement. The GAO, which does not make recommendations in this report, plans to continue monitoring potential cost growth and schedule delays.